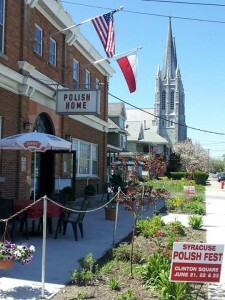 The Syracuse Polish home was founded in 1919 as a cultural meeting place for Polish immigrants in Syracuse. Original plans called for a YMCA type facility with meeting rooms, bowling alleys, gymnasium, and swimming pool. 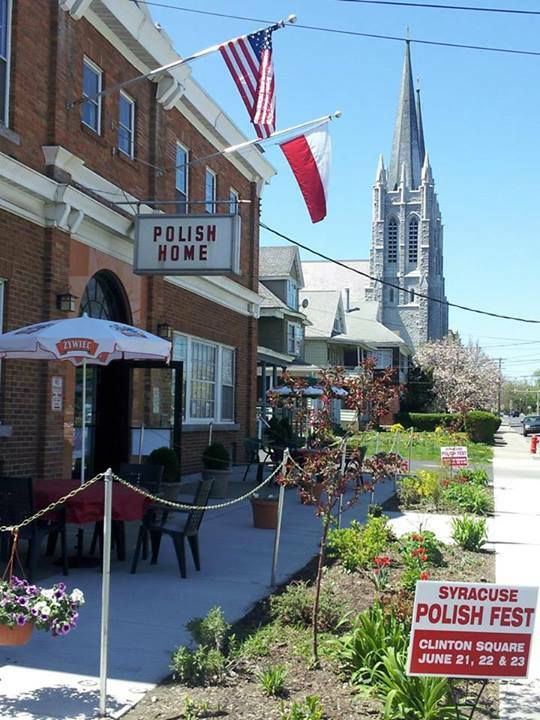 For over 95 years, The Polish Home has served as a cultural hub for first generation Polish immigrants in Syracuse and subsequently American citizens of Polish descent. It started as a club and a community center, and it still exists as such today. The neighborhood around The Polish Home has diversified since its days as an enclave of Polish immigrants on Syracuse’s near West Side. The Polish Home changed, too, adapting to meet the needs of the evolving greater community while retaining its roots in Polish and Polish-American culture. Today, many ethnic groups, religious organizations and societies utilize the Polish Home. Our neighbors are our guests, eligible to become members of the Syracuse Polish Community, Inc. The dues for membership are a reasonable $25 per year. Our Polish Home is home to many Polish organizations and others. Presently we boast around 700 individual members and serve to unite the Polish-American community with the more recent Polish immigrants to promote our shared Polish heritage with the greater community. We strive to uphold and promote the culture of our ancestors not only to our future generations, but to American society as a whole.